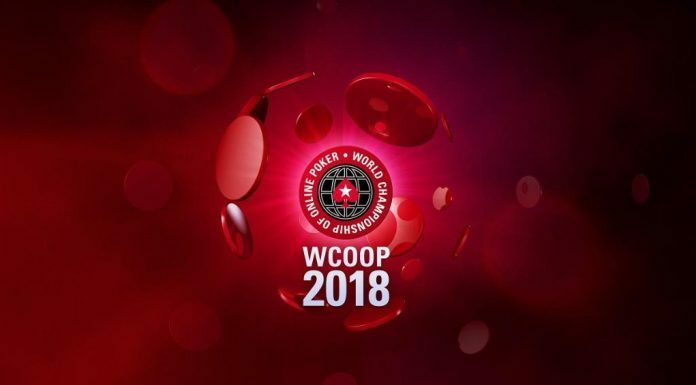 The final Saturday of 2018 WCOOP saw 12 players walk away with a title. Saturday’s World Championship of Online Poker action included 12 different players each walking away with a title, but nobody won more than English grinder Luke ‘Bit2Easy’ Reeves. Reeves beat out 202 other players to win Event #55 High ($5,200 Eight Max No Limit Hold’em Turbo High Roller (Progressive KO)) for $99,312.64 and an additional $120,429 in bounties. ‘MB TREMENDO’ finished runner-up for $77,095.64 and $10,078.13 in bounties while Nedelcu ‘Narcisus90’ Narcis picked up $59,848.81 and $45,273.43 in bounties for finishing third. The Medium level buy-in of Event #55 drew 1,456 players with ‘girafganger7’ taking home the title for $52,662.99 after agreeing to a heads-up deal with ‘Flush098765’, who earned $42,992.94. Third place finisher ‘ojfever’ ended up winning $28,377.14. The Low version of Event #55 went to ‘jeanfranco07’ who beat out 9,476 players to win $32,620.21. Markku ‘markovitsus’ Koplimaa earned $64,974.76. The Medium buy-in event went to ‘Legenden’ while ‘wpwhite-eck’ topped the 7,883-player field in the Low. The second biggest winner of the day Mario ‘t4t0PAGAU’ Navarro. The United Kingdom-based pro beat out 1,124 players to win Event #50 High ($1,050 Eight Max No Limit Hold’em) for $179,214.76. ‘BernardoDG’ and ‘€uropictured’ chopped the Medium version of Event #50 for $59,070.76 and $52,089.69 respectively. The Low event was also resolved via a two-player deal with ‘Alyz’ taking the crown and $19,594.45 and runner-up ‘dejanic357’ earning $15,297.96. The final High champion on Saturday was ‘onmybicycle’ who beat out 193 other players to win Event #51 High ($2,100 Six Max No Limit Omaha 8 or Better (Progressive KO)) for $38,694.35 plus an impressive $50,601.55 in bounties. The Medium version of that event went to ‘DSmunichlife’ for $16,618.97 and $13,313.41 in bounties while ‘villepn’ took the Low title foir $6,444.07 and $2,746.24 in bounties.